Welcome back to day 2 of Intros! 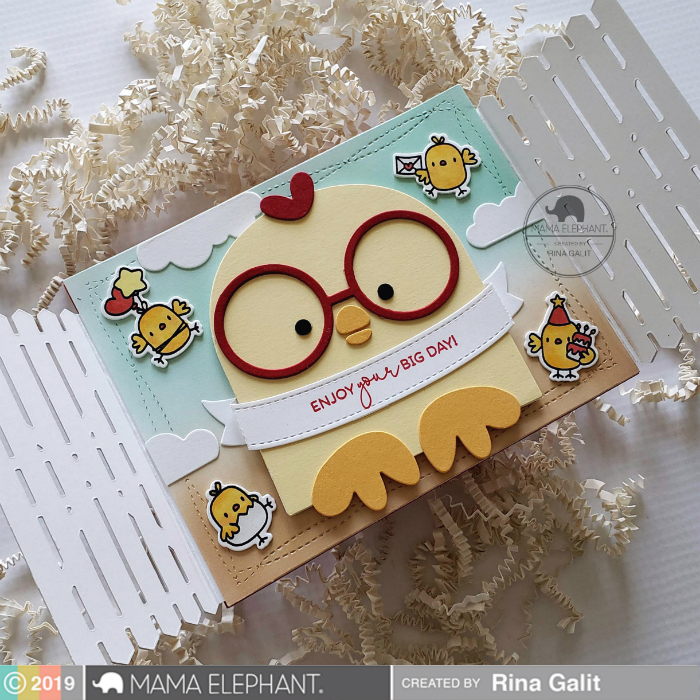 Today's intros and its projects by Rina will completely blow you away! 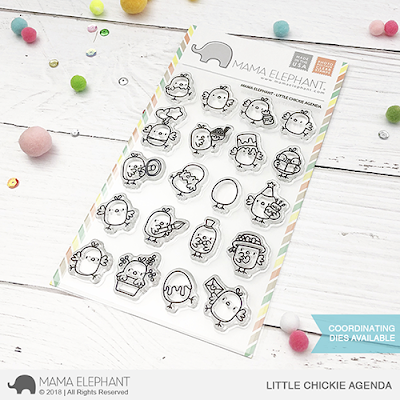 But first, let me introduce Little Chickie Agenda -- the latest in our growing collection of Little Agendas! I love how each new agenda released gets better and better, and I think these chickies are one of the bestest yet! 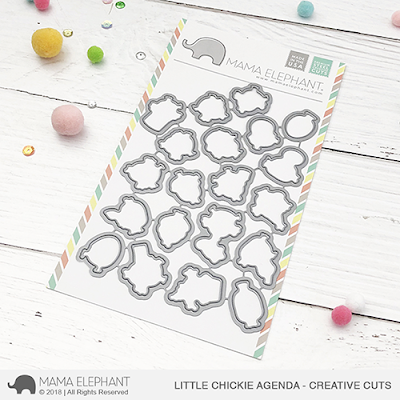 These chickies are great ready for Easter and Spring! Check out al the fun chickies included in this set! We've also got a new Favor Bag Accessory - Chickie! 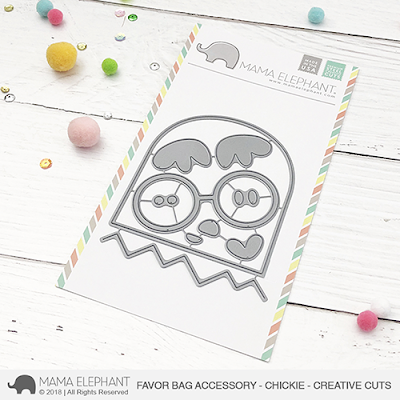 You know we've making these larger shaped accessories for awhile now, not only are they great additions to the Favor Bag and Tote Bag dies, but they work great as the front and center for your cards as well! 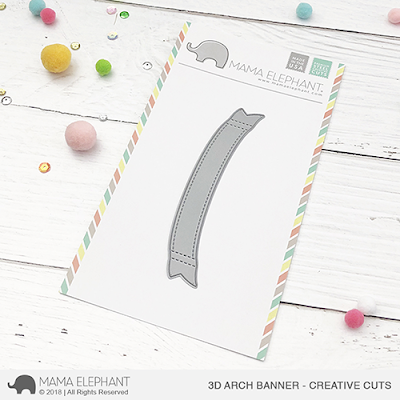 Also new is this cute little 3d Arched Banner die! Rina is back with these wonderful projects using thew new goodies! Is this amazing or what? Is that Chicken Little??? He is soooo cute! 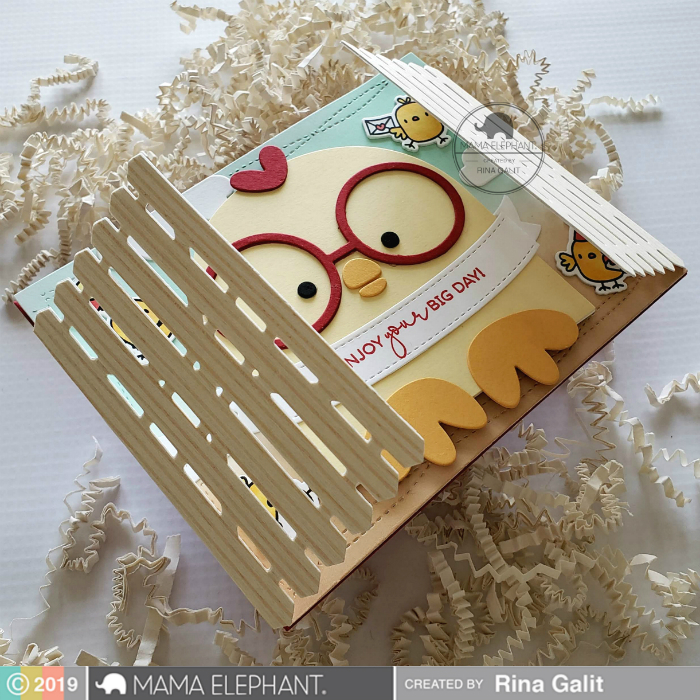 And I super love how she used the new Gatefold X Fence die cut here! Just opens up like a cute picket fence! Cute to the max! I can not even handle that giant chickadee!! Great cards Rina! I love them all! The red glasses are just so perfect! Awesome card. Love these adorable chicks and the awesome dies! I need everyone of these!!! OOOOOOHHHHH!!! I LOVE the big chickie die and card!!!! Too Stinkin' CUTE!!! Adorable!!! I can't wait for this release!! so many cute items!! Had to stop by and tell you that the big chick reminds me so much of the little boy chick in the old Foghorn Leghorn cartoons! Thank you for the smiles! I can't wait to get these. Too cute! Oh my word....Rina Galit.....each and every card was adorable. I am a huge fan of any fairies...so you know these will be on my wish list...on the top. Such a wonderful release. So happy that I found this blog.